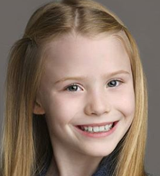 FINDING NEVERLAND and SCHOOL OF ROCK Interviews, Pictures From THE LION KING, and more! Paul Schoeller and Caleb Reese Paul (Finding Neverland) spoke with KeloLand.com! Watch the feature below! Bella Fraker and Jacob Moran (School of Rock) spoke with Fox5Atlanta.com! Watch the feature below! And check out these pictures and videos from the kids of School of Rock, Finding Neverland, The Lion King, Les Miserables, The Sound of Music, Love Never Dies, and How the Grinch Stole Christmas! A BRONX TALE Begins Performances, Pictures From SCHOOL OF ROCK and MISS SAIGON, and more! A Bronx Tale begins performances tonight! Break a leg! Check out these pictures and videos from the kids of School of Rock, Miss Saigon, Love Never Dies, Anastasia, The Lion King, and Finding Neverland! 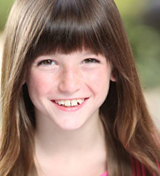 Kylie Kuioka Joins THE KING AND I, Riley O’Donnell in “Big Top Academy,” and more! 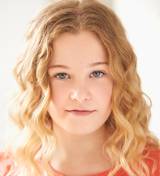 Congrats to Kylie Kuioka, who has been cast in The King and I! Coco Stats (Waitress San Francisco) and her family chatted with Daily Republic! Check out the feature at DailyRepublic.com! 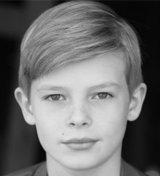 Watch the trailer for new kids show “Big Top Academy,” featuring alum Riley O’Donnell (Matilda), below! The show premieres on October 15th on Discovery Kids Latin America and TVO Kids in Canada! And check out these pictures and videos from the kids of Finding Neverland, Love Never Dies, School of Rock, Miss Saigon, Anastasia, and The Lion King! More THE SOUND OF MUSIC and HOW THE GRINCH STOLE CHRISTMAS Casting Announced, and more! 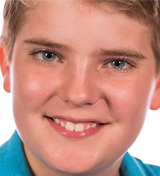 Congrats to Alex Bradley and Jenna Seasholtz, who have joined The Sound of Music! Congrats to Fiona Morgan Quinn and Victoria Mullen, who will tour with How the Grinch Stole Christmas this year! Alumni Gianna Harris (School of Rock) Amanda Seville (Annie) are performing at the benefit concert “Rockers on Broadway” on November 12th in New York City! Get tickets at ThePathFund.org! 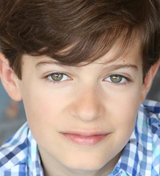 Watch alum John Michael Pitera (Newsies, School of Rock) perform “Proud of Your Boy” at the recent Newsboys Variety Show at 54 Below below! And check out these pictures and videos from the kids of Anastasia, Finding Neverland, Les Miserables, School of Rock, The Lion King, and Dear Evan Hansen! 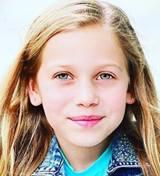 Mitchell Wray to Guest Star on Disney Channel’s “Coop & Cami Ask the World,” Ana-Sofia Rodriguez Performs at BC/EFA Benefit Concert, and more! 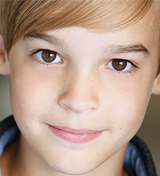 Mitchell Wray (Finding Neverland) will guest star on the upcoming Disney Channel show “Coop & Cami Ask the World”! More details to come. Watch Ana-Sofia Rodriguez (On Your Feet) perform “Sayonara” at a recent BC/EFA benefit concert! And here are pictures and videos from the kids of School of Rock, Love Never Dies, Miss Saigon, Finding Neverland, The Lion King, and Les Miserables!